Outcomes - how well are Montessori children prepared? Pinewoods children in Kindergarten and above are well prepared for the world around them and the years in front of them. 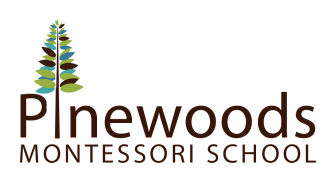 While what is most special about Pinewoods is the peaceful atmosphere in the classroom and the mutual respect of the children for each other and the teachers, our students perform well academically, scoring within 90th-100th percentile for age and grade level. That mutual respect lays a foundation for independent exploration academically. Pinewoods' curriculum regularly has kindergartners reading chapter books, doing addition, subtraction, multiplication, and division, etc. What do we mean by "Pinewoods' children are well prepared for the world around them?" 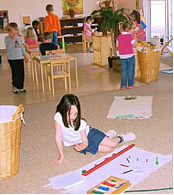 The Montessori curriculum was compared to the traditional classroom in a recent study published in Science. The study compares outcomes of children at a public inner-city Montessori school with children who attended traditional schools. Results indicate that Montessori education leads to children with better social and academic skills.